The French Chef inspired a flood of new cooking shows and culinary stars throughout the 1970s and 1980s. In 1993, a new cable channel, Television Food Network, turned cooking and food shows into twenty-four-hour entertainment—a round-the-clock affirmation of Julia’s instinct that demonstrating omelette-making would appeal to viewers. Emeril Live, the first live Food Network program, began airing in 1997. The show’s immediate impact, combined with nationwide appearances, made Emeril Lagasse one of the most recognized chefs in the country. As he demonstrated a genuine fusion of his native Massachusetts Portuguese cuisine with flavors from France, Louisiana, and the southwestern United States, he helped inspire a new recognition and acceptance of fine regional American food. Trained in culinary school, Emeril worked in France and various American cities before moving to New Orleans. 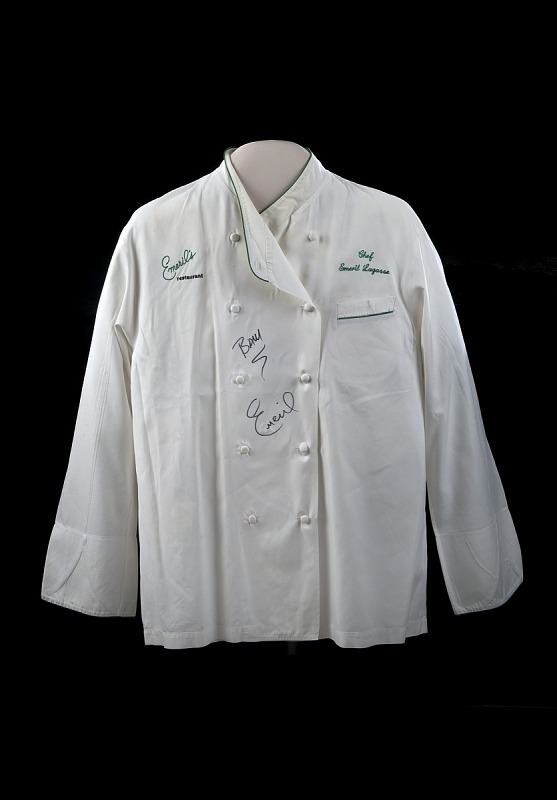 This jacket is from his first New Orleans restaurant, Emeril’s, which opened in 1990. He often wore a chef’s jacket on his television shows and in his public appearances. Gift of Emeril Lagasse. Emeril’s first cookbook demonstrated his innovative interpretations of traditional Creole cuisine. 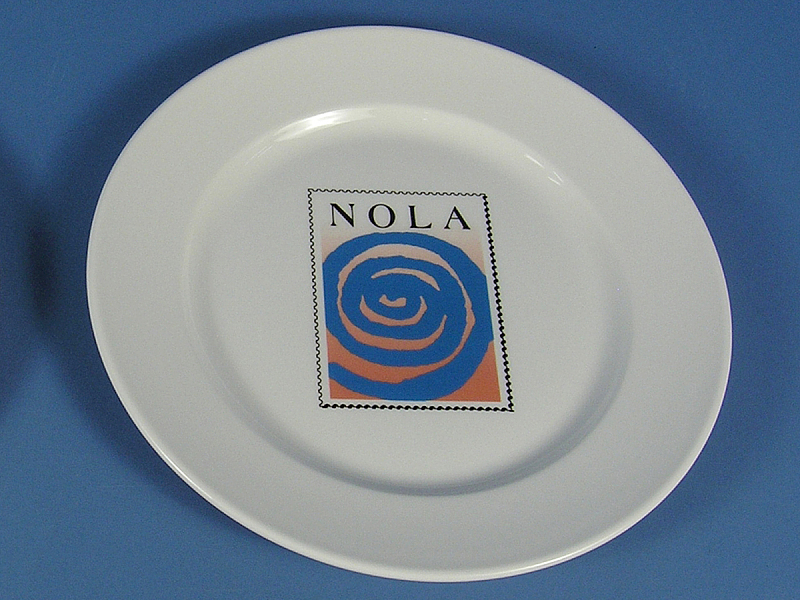 Emeril opened NOLA, his second New Orleans restaurant, in 1992. Combining New Orleans Creole and Cajun cuisine with influences from Vietnam and the American Southwest, NOLA reflects the cultural fusion of Emeril’s adopted city. Gift of Emeril Lagasse.